Hex head diameters included: 2mm, 2.5mm, 3mm, 4mm, 5mm, 6mm, 8mm. The perfect choice for use with hex head fittings, the comfort grip T-handle makes this tool easy to use. 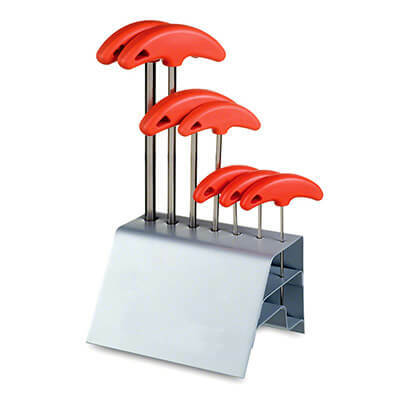 This kit comes complete with a stand to help you keep your tools organised.